Mold leaves a musty odor behind. If you smell something musty, and especially if that smell persists, you may have a mold problem. It may be confined to a certain room or it may be something you detect throughout the house. 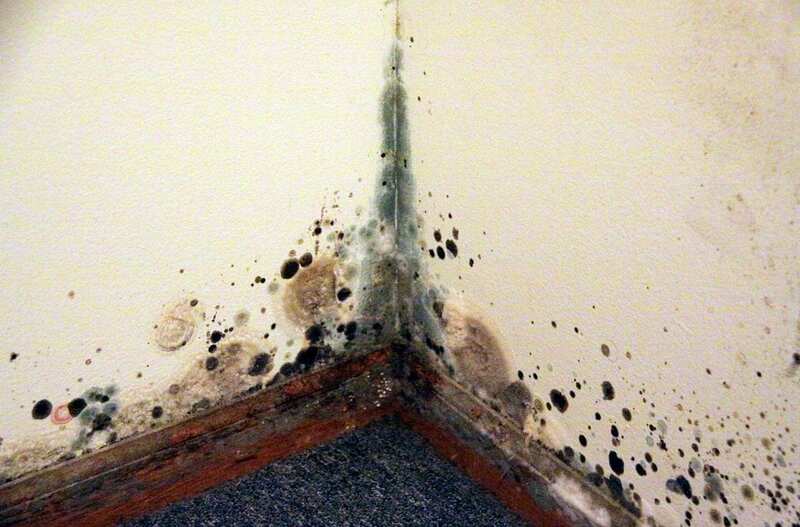 Mold often appears as small, fuzzy black spots. You may see it as a black film in tile grout. You might see a spot or two in the corner of the bathroom. It may appear on the surface of an attic beam. You might catch a glimpse on your basement wall. Wherever you see small black spots with a fuzzy appearance, it may be mold. Mold in the home can also appear to have a greenish tint. Mold grows where moisture and organic material abound. If you have had a roof or plumbing leak and part of the house got wet, mold may have taken root in that location, especially if the area was not completely dried out. Drywall, wood, and carpet fibers are all places where mold can grow after a leak. Many people have unknown allergies to mold. When mold begins releasing spores into the air, people can breathe these microscopic particles into their lungs. If they have an allergy to the mold, they will start having symptoms like sneezing, coughing, runny nose, and itchy or watery eyes. This is one of the more worrisome signs of mold in your home. You may have water intruding into your home and not even know it. One obvious sign of a hidden leak is peeling paint. Most modern paints bond well with the underlying surface. However, when water starts to seep into the surface below the paint, it can break that bond. That is when the paint starts to bubble up and peel. Mold can often be found hiding under peeling paint. Wood fibers absorb water. If you have a leak, and the water reaches wood, that wood will start drawing in the water. Eventually, the moisture levels in the wood will be enough so the fibers expand, warping the wood. This can happen to wall studs, wood flooring, plywood, and even kitchen cabinets. Moist wood is the perfect breeding ground for mold. One of the less obvious symptoms of mold exposure are the ones that affect a person’s brain. People start having problems with concentration at home. They may experience dizziness. Some may even become easily agitated. But, when they leave the home, those symptoms dissipate. These are signs you may have mold growing in an unseen area of your home. Do You Have One or More Signs of Mold in Your Home? If you have one or more of these signs, you need to bring in a professional to conduct a thorough mold inspection. Mold can be hidden in odd places and cause serious health issues for your family. A professional mold inspector will help clarify the severity and the cause of the mold, and recommend a plan for remediation. InspectorUSA provides mold inspections for Central Kentucky. Contact us if you are concerned about mold in your home.